My name is Louise and this is my son Jacob’s story. Jacob is 14 years old and has recently been selected to represent Kent at the World Scout Jamboree in West Virginia, USA. He’ll be going with 45,000 other scouts from all over the world and is currently fundraising to raise the £4,000 needed to attend. Jacob plays cricket for Kent and has recently been awarded Most Improved Player. 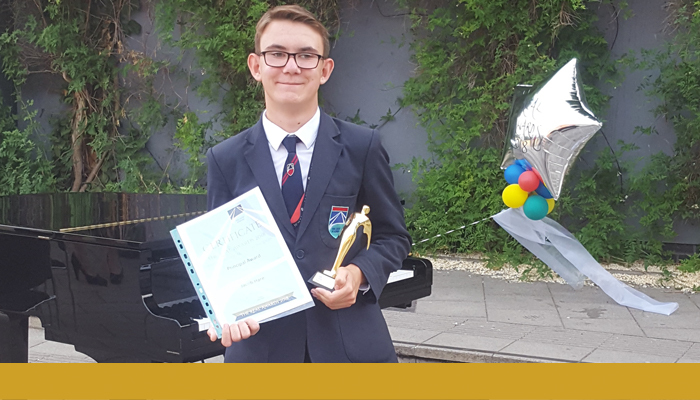 He has also just received the Principal’s Award for his mainstream secondary school, the top award for his whole school. Did I mention that Jacob is registered blind? Yes, that too. Jacob is amazing; he’s had retinal dystrophy from birth and has the most positive attitude of anyone I’ve ever met. I believe it’s this attitude that has helped Jacob achieve all of the above. He radiates warmth and charm and I couldn’t be more proud.